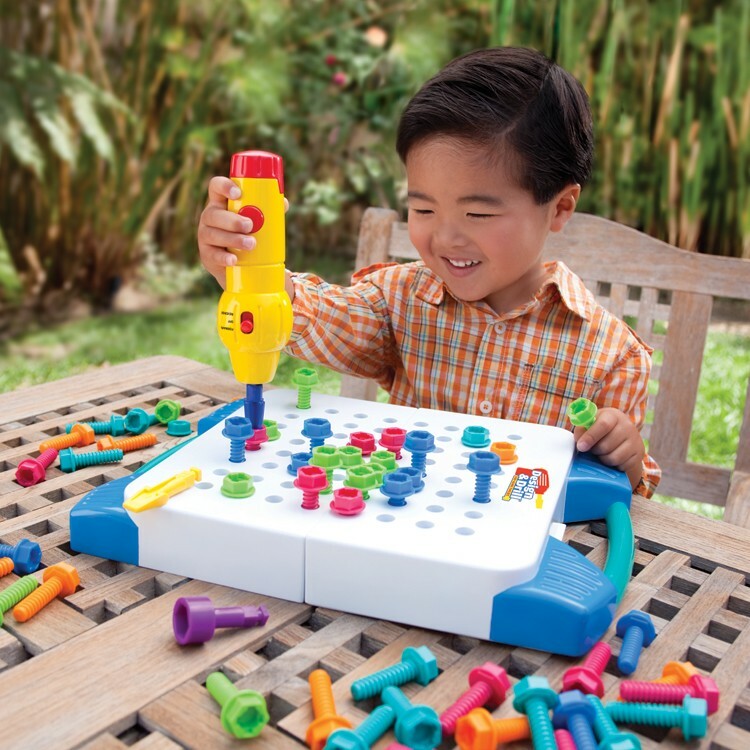 Young builders will love drilling the chunky bolts into the activity board using the real power screwdriver for tons of creative fun. 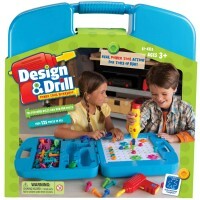 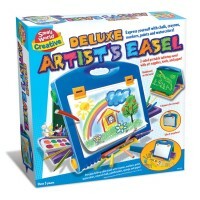 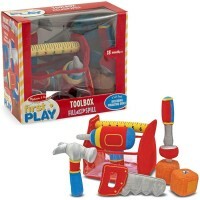 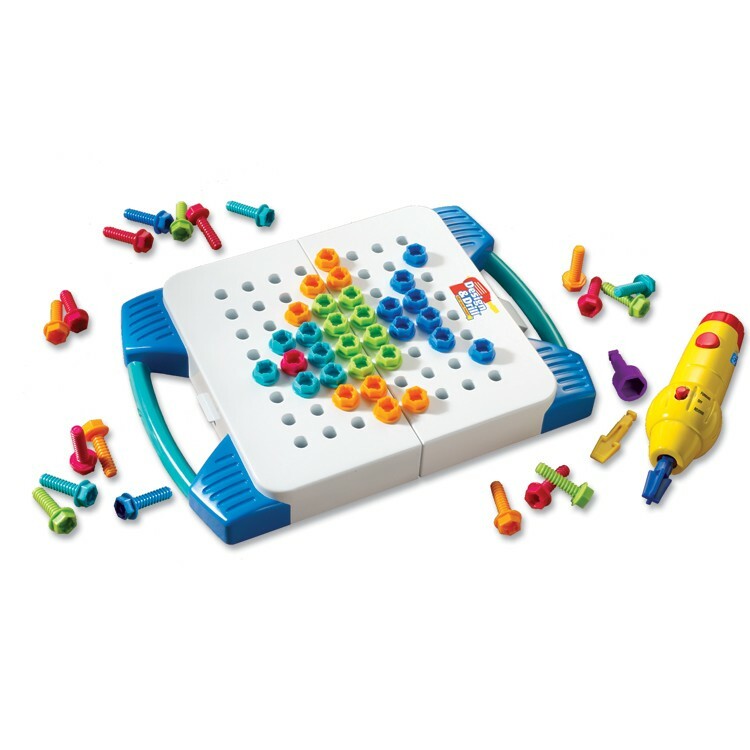 Educational Toys Planet welcomes the travel version of the bestselling Design and Drill Activity Set. 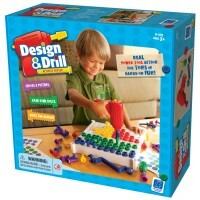 Take your creative drilling workshop on the road with the Design and Drill Take Along Tool Kit by Educational Insights. 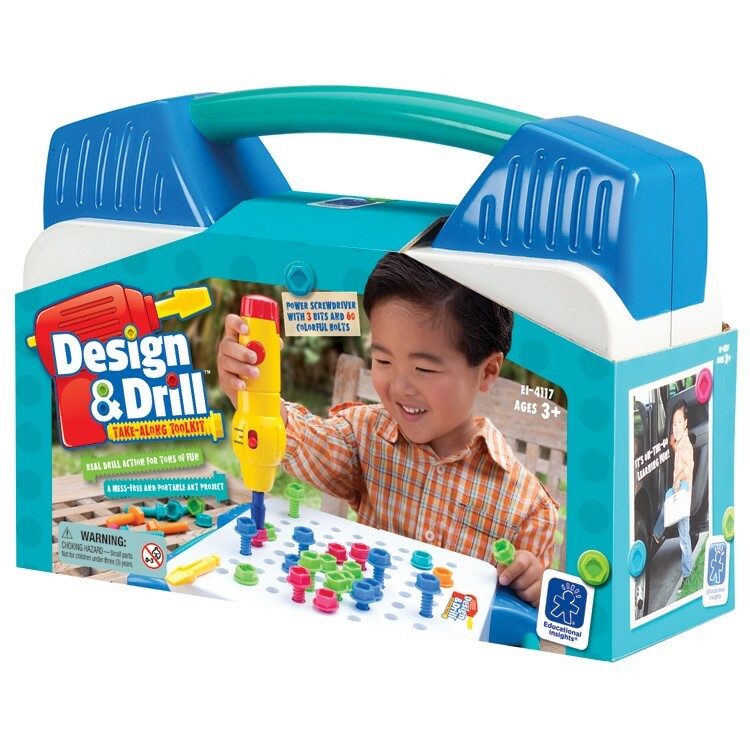 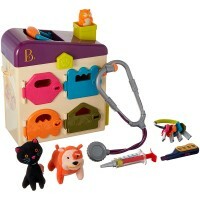 This portable craft set brings tons of fun allowing children to create unique designs with the bolts. 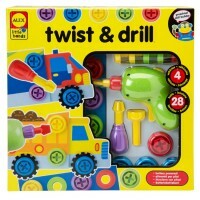 The screwdriver can work in reverse with the press of a button - it can take out screws too. 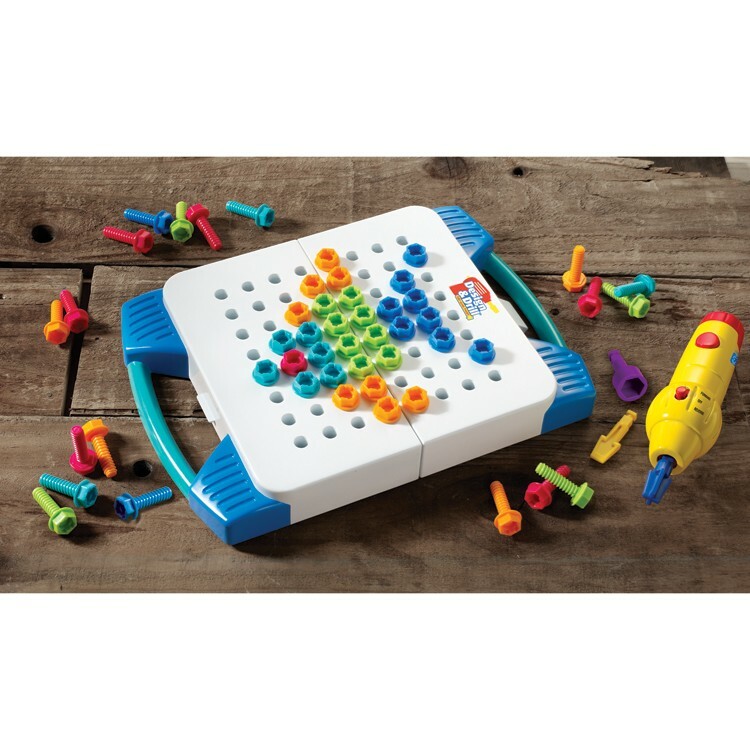 The project guide includes 12 unique mosaic design patterns that you can make using your tools and bolts on the activity board. 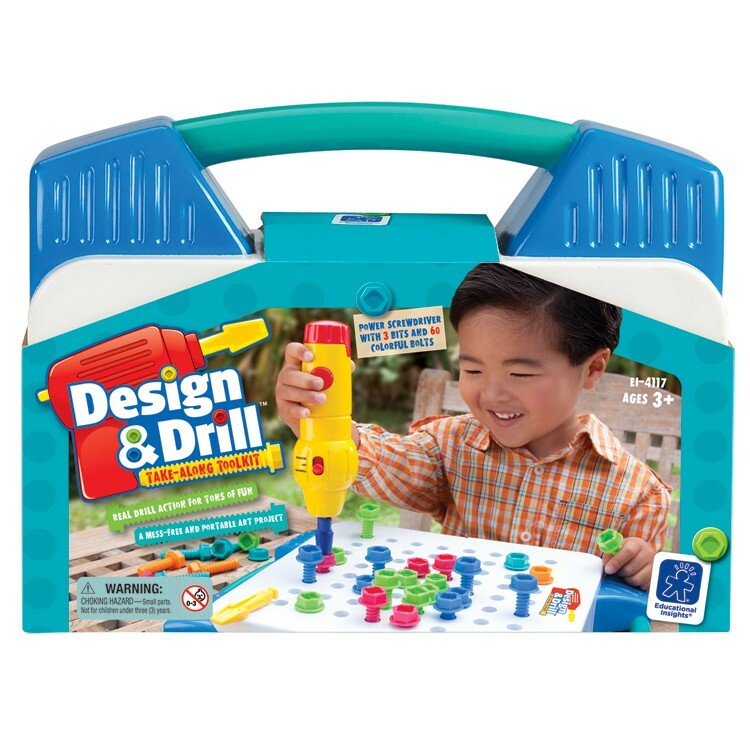 Young builders will love drilling the child-sized bolts into the activity board using the real power screwdriver for tons of fun! 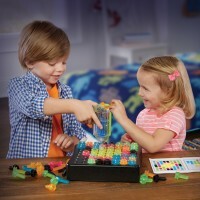 This portable mosaic kit can provide kids with fun wherever they go and doesn't make a mess or require any special ingredients. This portable art project kit includes 60 regular bolts in 5 vibrant colors, 3 bits, an electronic screwdriver, and an activity board that doubles as a sturdy carrying case so you can carry your power tool kit with you. 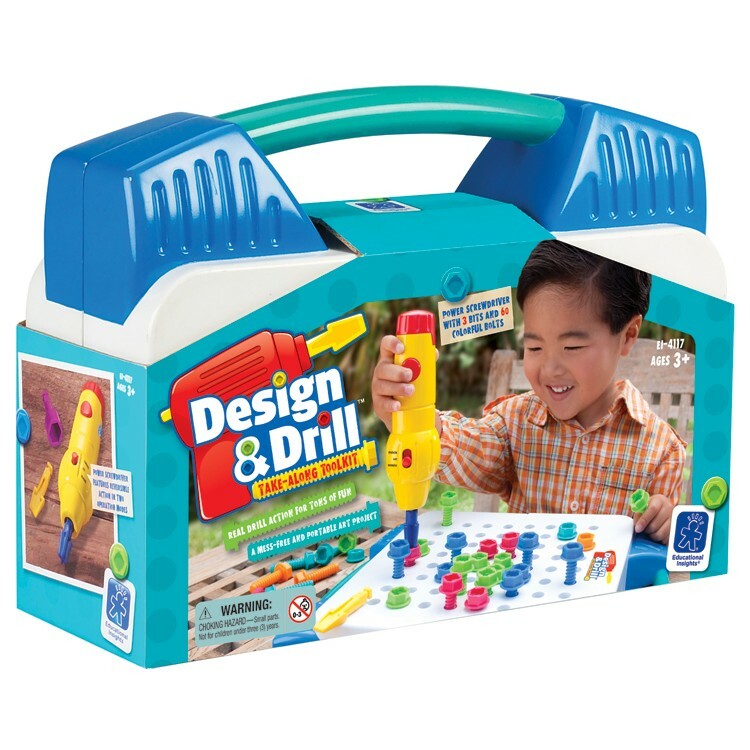 The durable board into which you screw the bolts folds into a portable carrying case, so you can take your Design and Drill Take Along Tool Kit wherever you go! 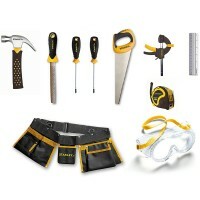 Dimensions of package 10.5" x 4" x 8"
Write your own review of Design & Drill Take Along Tool Kit. 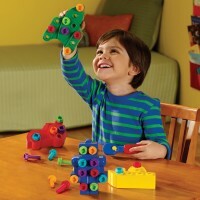 Rating: 4 by Kathleen E, PA For our 4-year old grandson. 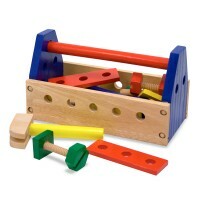 He especially likes the screwdriver.